I just purchased this tonight. I tried the demo and was delighted to find it worked perfectly recording the desktop, Skyrim and Fallout 4. I purchased a license and after registering I decided to make some stock footage for an upcoming Youtube Skyrim mod review. I launched Skyrim, got the fps counter and hit the record key and the counter stayed green. 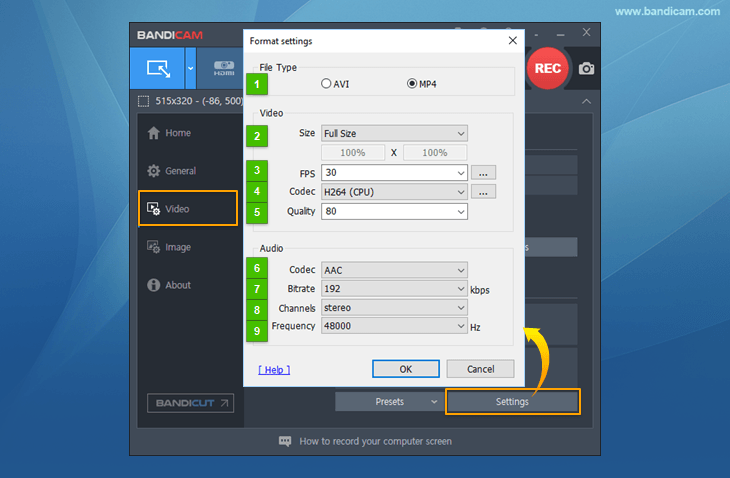 I closed and tried several times and even rebooted but bandicam refuses to record. I also discovered the desktop recording would crash as soon as I hit record. Very disappointing after the demo worked flawlessly. When I record Skyrim, I have to force Bandicam into 30fps mode. Have you tried that? We can't reproduce the problem you mentioned. 1. 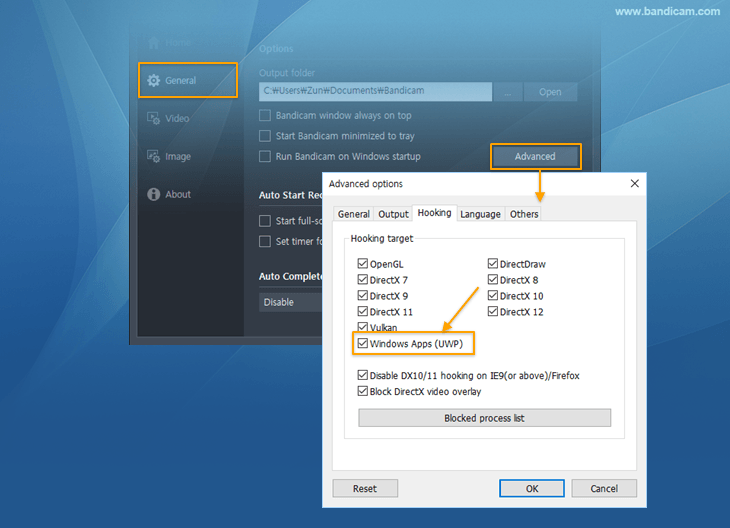 Please download Bandicam 3.2.3 from https://www.bandicam.com/downloads/ and uncheck the "Windows Store Apps (UWP)" option, and try it again. 3. Please download the latest graphics card driver, and try it again. - What is your Windows version? - What is your graphics card model? - What is your Bandicam version?